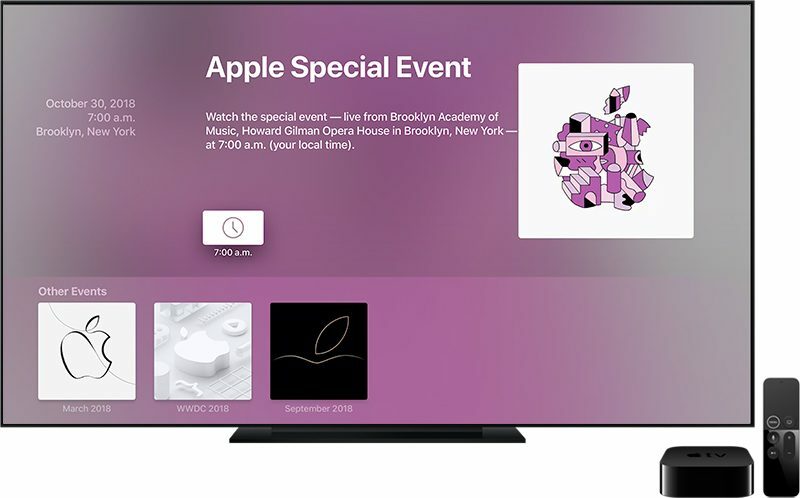 Apple today updated its Events app for the fourth and fifth-generation Apple TV in preparation for the October 30th event that's expected to see the debut of new iPad Pro models and several new Macs. The updated Events app can be downloaded from the tvOS App Store, and it features artwork from the media invites that were sent out last week. 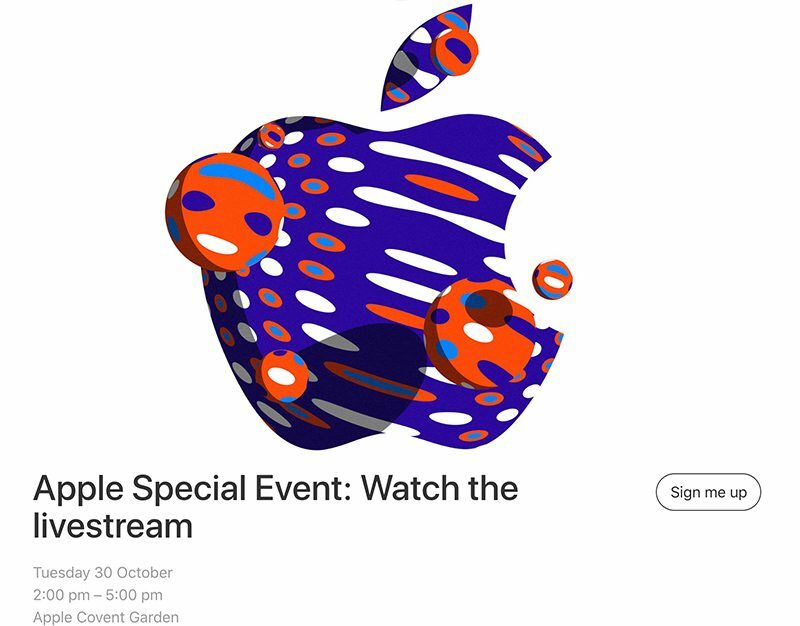 Apple's Events app, along with the Events section of Apple's website, will be used to live stream the unveiling of the new products. This event is being held in New York City, which means it will start at 10:00 a.m. Eastern Time rather than 10:00 a.m. Pacific Time. The Events app on the Apple TV will list the start time relevant to your own location, listing 10:00 a.m. for people on the East Coast and 7:00 a.m. for people on the West Coast. As noted by 9to5Mac, Apple has also listed several Today at Apple sessions to allow customers to sign up to watch the unveiling at a local Apple Store. These events are available in several stores in the UK, Dubai, and Toronto. Couldn't care less about iDevices. Anyone else find it odd the app has to be updated prior to the next event? All marketed toward creative professionals.. I won’t be able to afford any of it but I’m super psyched. Hopefully no mention of new emoji's! They change the icon so it needs to be updated. Surprised people still drink this Koolaid... Time to move on from Apple, way way behind..
All I’m really hoping for is a new 27 inch iMac.